This article was last updated on November 13, 2015. “E-liquid” is likely to be one of the first unfamiliar terms you might encounter as you begin to learn about e-cigarettes and the terminology surrounding them. As you may have already guessed, e-liquid is the flavored nicotine liquid that your e-cigarette vaporizes. However, that basic definition only begins to scratch the surface of what e-liquid means and how it affects your e-smoking experience. In some ways, the e-liquid you put in your e-cigarette is more vital to the quality of the e-smoking experience than the e-cigarette itself. In this article, I’ll explain the basics of e-liquid and describe some of the things you should look for. After reading this article, you may want to look at some of my recommendations for the best e-liquid on the market. I also discuss the different e-liquid flavors in another article. E-liquid contains natural and artificial flavors, nicotine (unless you’re using nicotine-free e-liquid) and a carrier liquid that vaporizes when heat is applied. The two carriers generally used for e-liquid are propylene glycol and vegetable glycerin. Many e-smokers start by purchasing refill cartridges pre-filled with e-liquid. However, they quickly learn that you can save a lot of money with e-cigarettes when you buy your e-liquid by the bottle. While cartridges usually hold around 1 ml of e-liquid and cost around $2-3 each, e-liquid purchased by the bottle generally costs well under $1.00 per ml. E-liquid is a very simple product, but the market offers tremendous variety because little variations in those few basic ingredients can lead to huge variations in flavor, vapor production and throat hit. An e-liquid containing nothing but nicotine and flavors would be incredibly thick and far too dangerous for human consumption. The two carrier liquids — propylene glycol and vegetable glycerin — are used to dilute the product to the desired strength. They also vaporize at relatively low temperatures and have relatively neutral tastes so as not to color the flavor too greatly. E-liquid companies often refer to proplene glycol and vegetable glycerin as “PG” and “VG” respectively and an e-liquid may contain one carrier liquid or a mix of the two. I discuss the differences in detail in the link above. In short, though, PG is thinner and less likely to cause “dry puffs” in some e-cigarette designs. It also reproduces flavors more accurately. VG is thicker, thus creating thicker vapor clouds. However, it may be too thick to work well with some e-cigarettes. It also lends a slightly sweet flavor. Most e-liquid companies in the United States use a blend of the two, creating a balance that works as well as possible with most e-cigarette models. Many people switch to e-smoking because they believe that e-cigarettes could be safer than real cigarettes. Although some of the information available seems to suggest that e-cigarettes actually could be safer, it’s not a sure thing. One of the reasons is the sheer variety of flavors used in e-liquids and the fact that few — if any — of those flavors have been tested for safety when inhaled. For example, it was found not too long ago that some e-liquids contained diacetyl. Diacetyl is accepted as a safe substance to consume — it’s the substance that allows low-fat microwave popcorn to taste buttery. However, when inhaled in large quantities it can lead to irreversible lung damage. Most e-liquid makers have taken steps to make sure their products contain no diacetyl, but it serves as an example of why you should always obtain as much information as possible about what your e-liquid contains. In addition, some e-liquids contain extracts of real tobacco. You may see the term “tobacco absolute” used in conjunction with these types of e-liquids. Tobacco absolute is a pure, thick extract that tastes bitter and ashy. It can add greatly to the complexity and depth of an e-liquid. It is unknown whether the use of a real tobacco extract makes an e-liquid more dangerous to use. An e-liquid should be mixed under lab conditions with the strictest quality control possible. For example, VaporFi and Halo Cigs print batch numbers on each bottle of e-liquid and pack of cartridges. Other companies such as Black Note have had independent labs certify that their e-liquids lack toxins and unwanted additives. Virgin Vapor uses only organic ingredients. One of the most important things to keep in mind when buying e-liquid is the fact that most companies selling e-cigarettes source their e-liquid from China. This is the case with virtually every company whose primary products are e-cigarettes. 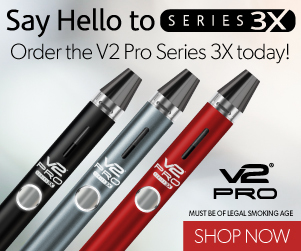 VaporFi and NJOY are two of the rare exceptions to this rule. If a company doesn’t say that its e-liquid is made in the United States or Europe, assume it’s made in China. Although all Chinese e-liquid isn’t bad, most e-smokers consider it inferior to the products made in the United States and Europe. On the other hand, most companies whose primary product is e-liquid make their own. Otherwise, they’re just selling the same Chinese e-liquid as everyone else and probably won’t be in business for long. If you’re looking for some new e-liquid companies to try, I recommend a few of them in my list of the best e-liquid companies.